The parents of the injured child should not have to bear the financial burden of medical bills and treatment due to the negligence of another person. 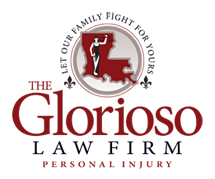 The New Orleans child injury attorneys at The Glorioso Law Firm know that there is no greater tragedy than the loss of a child. Representing parents who have suffered this loss and representing children who have suffered serious life altering injuries is intellectually and emotionally challenging. In order to do your job successfully you must face your clients’ debilitating, lifelong injuries and the devastating realities of their futures head on. There is no easy way around it. In order to discover the actual and potential damages and to be able to relate them to defense counsel, defendants, adjusters, mediators, judges, and juries it is absolutely necessary to spend time with your clients. This is imperative because children lack the ability to articulate their injuries, pain and suffering and parents often and understandably deny the magnitude of their child’s injuries. You cannot simply ask these types of clients what their injuries are and how their lives are affected. You must witness it firsthand.